NEW YORK -- Fears of listeria contamination has resulted in the voluntarily recall of vegetables from more than 20 brands. The products include Trader Joe's Kohlrabi Salad Blend, Walmart Broccoli Slaw, and Archer Farms' Brussels Sprouts. For a full list, click here. 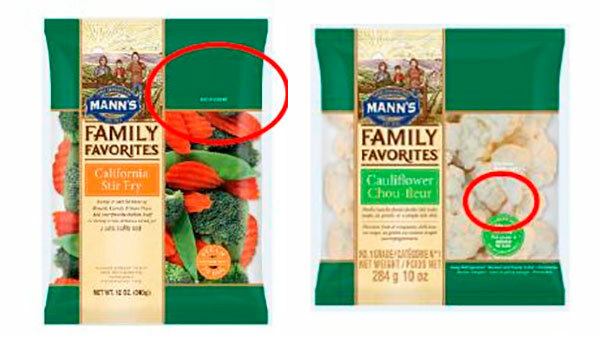 The recalled products were distributed throughout the United States and Canada with "best if used by" dates from Oct. 11 to Oct. 20 listed on the front of the packaging. A number of Meijer products were also affected. For a full list, click here. The products were sold in Michigan, Ohio, Indiana, Illinois, Kentucky and Wisconsin, between Sept. 27 and 0ct. 20. They were packaged in plastic containers or foam trays with printed labels that indicate various sizes and weights, the FDA said. Listeria monocytogenes bacteria can cause fatal food poisoning in young children, pregnant women and elderly or frail people. Trader Joe's recalls one of their salad products due to a possible Listeria contamination.